Birds chirping, leaves stirring in the breeze, the gentle perfume of newly bloomed flowers, warm sun on skin. The signs of spring surrounded Alice, as she rested on the park bench. Children played behind her, in front of her, mothers with babies in prams helped their toddlers feed bread to the ducks. The chaotic rhythm of a midweek morning occasionally interrupted by the whir of pedals and the crunch of gravel under tires as a Lycra-clad cyclist whizzed by. Alice let her head tip back and her eyes close as she absorbed it all. 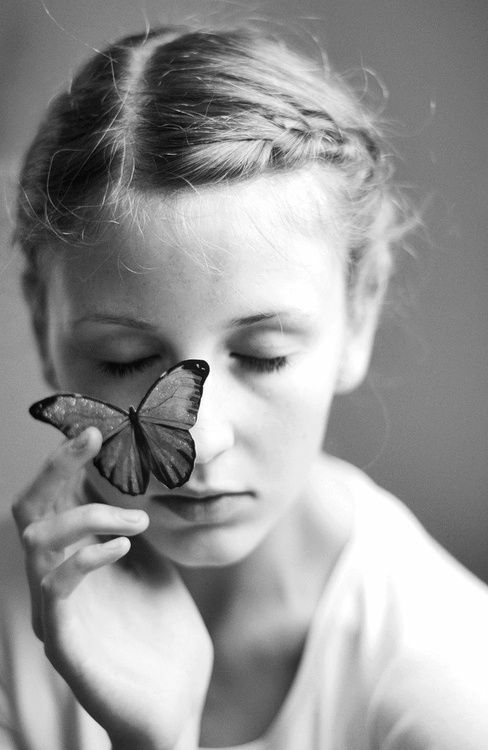 She felt a tiny flutter against her cheek as a butterfly passed by, impossibly close. Alice opened her eyes, and turned towards where she had felt the butterfly, but she saw nothing, it’s delicate wings and pretty colours drifting off to brighten someone else’s day. With a sigh she picked up her cane, and slowly began tapping her way back along the path, once again mourning the beauty she would never see outside her memories. Just slightly over, with 169 words for another Visual Dare that I am running late on! I quite enjoyed writing this little stand-alone piece, made for a nice change from Lauren & Paul’s story. I tried to get it down to the requisite 150 words, but this was as tight as I could go… will you forgive me?